Dubai: They fly fast. They arrive at an emergency site quicker and offer live-streaming video to emergency first-responders in Dubai. Fitted with thermal imaging equipment, these drones are set to play a growing role in providing reconnaissance and incident assessment for the Dubai Civil Defence (DCD) and Police responding to fires and other emergencies. 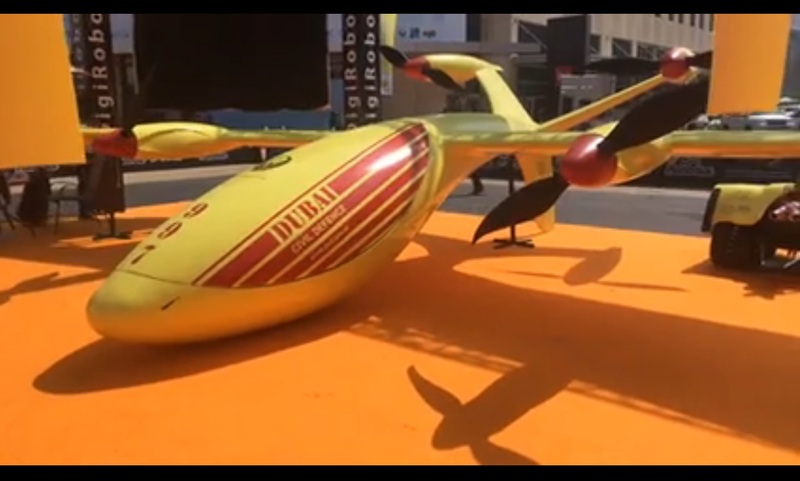 Unveiled on at the 37th Gitex Technology Week, the new drones could provide live video feed and thermal imaging to the central command centre, enabling DCD, police and other entities involved in emergency missions better plan their response. Maan Al Shakarchi, Director of Avaya International, the technology provider, told Gulf News that apart from providing live feed, imaging cameras on the drone cameras can also help detect the source of fire. When the DCD receives a fire alert, the drones can be dispatched to monitor the situation. Using surveillance cameras fitted with thermal imaging technology, and a live video streaming, responders can get a better picture of the scene as they conduct central conference calls among all emergency response entities. This will help them better plan their responses. Mohammad Yousuf Al Emadi, Manager of Network and Servers section of DCD, explained that the new drones can play multiple roles. Not will not only will they help the firemen fight the fire more efficiently, but it will also help provide aerial surveillance of warehouses and industrial locations that are more prone to fire. Once emergency alert is received, drones are sent to assess the situation, which then send live videos of the site to the command centre, helping emergency worker plot a response strategy. The sophisticated cameras in the drones can also help avert potential disasters well before they happen. “We have seen," explained Al Emadi, "that many warehouses and factories flout the storage restrictions for chemicals and other inflammable material, sometimes exposing them to direct sunlight which could lead to fire and explosions." "The thermal imaging of the drone cameras can help us detect these practices which is otherwise difficult for us to monitor,” he added.